As reported in the Des Moines Register, "Jobs in STEM (science, technology, engineering, mathematics) are growing at four times the rate of other career sectors." For that reason, parents can do a lot to help their kids recognize the value of studying these subjects and prepare for careers in these fields. 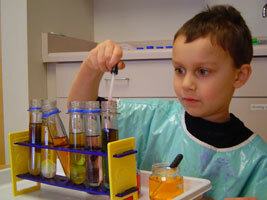 This column provides a number of suggestions for helping children fall in love with the sciences.